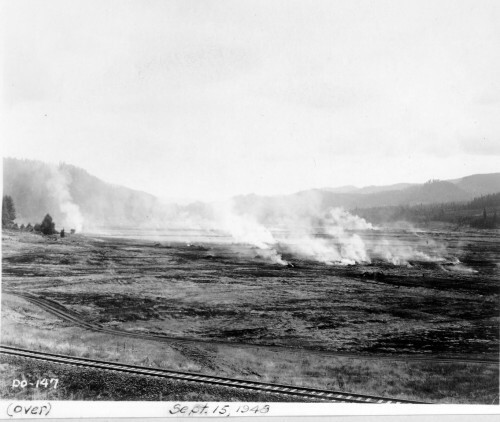 This photo from 1948 shows the Row River Valley being burned out to make way for Dorena Dam. The new railroad tracks are in the foreground. Before the dam, the railroad ran straight up the valley alongside the river.